Vice President of Research John Williamson writes that bad economic policies in New Brunswick gives one the impression that its government has stopped trying to reverse the province’s woes. Banning hydraulic fracking, maintaining protectionist measures on alcohol, and inadequate education are mixing with outmigration to produce an economic death spiral. This article appeared in the Telegraph-Journal and the Financial Post. Are New Brunswick’s challenges so overwhelming, so severe, that our provincial government has given up trying to solve them? Or does the province instead believe decisions to reverse our grim economic position and troubling social indicators should be kicked down the road? 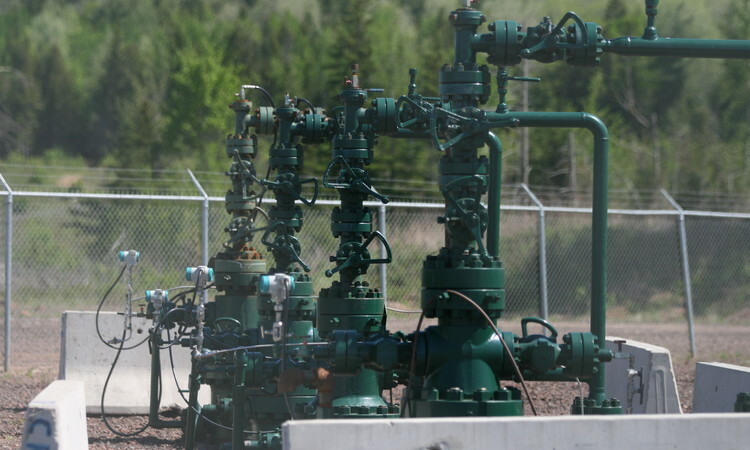 After a recent announcement to permanently ban shale gas development and another to appeal a provincial court ruling on liberalizing interprovincial trade, it is a question worth considering. Our province is in a very difficult economic position. The jobless rate hovers at 10 per cent, our taxes – already among the highest in Canada – will rise again because of an unwillingness to control budget expenditures. The two-point HST tax grab on July 1 will cost New Brunswick consumers an additional $300-million a year. Our jobs and budget outlook would be less dire were it not for New Brunswick’s precarious demographic shift. Not only is our population ageing, it is also shrinking as the death rate exceeds the number of births and overall immigration levels are low. This position would challenge any government since social programs are funded by tax-paying workers. But our problem is further aggravated because young families are leaving home to find employment opportunities elsewhere. The most striking illustration of our population time bomb isn’t that New Brunswick is tied with Nova Scotia as the greyest province in Canada. Or that the numbers of seniors will continue to grow. It is the steady decline in the number of children in N.B. schools and what this trend means for population growth. Since 2000, enrollment in K-12 schools has shrunk dramatically from 124,944 students to 99,921 in 2014 (the latest available Statistics Canada data). That’s a 20 per cent drop and a loss of over 25,000 New Brunswick pupils. Nationally, the number of students has fallen across Canada by a more modest 7.8 percent. Our decline is two-and-half times greater. We might be able to better manage falling provincial enrolment rates if schools were adequately preparing our students for the job market. But this has not happened. It’s no secret that over half of the province’s population is functionally illiterate. An inability to adequately read and write means workers hit a wage ceiling and remain stuck on the sidelines of today’s knowledge economy. Even traditional resource sectors require enhanced skills to operate heavy equipment. A visit to Cooke Aquaculture’s growing operations or Irving’s paper mill in Charlotte County demonstrate this. Our province’s economic strategy favours protectionism to open markets, high taxes over competitive rates, and is opposed to developing our own resources. Canada’s weekly magazine Maclean’s in March reported on our problems in a story entitled, Can Anything Save New Brunswick? We should ask ourselves today if the provincial government is even trying. New Brunswick’s difficulties could drive any policymaker (or voter) to drink. Except the provincial government makes that costlier than it should be by restricting the free movement of alcohol across provincial borders. It is a crime under our antiquated liquor laws for New Brunswick residents to purchase more than one bottle of liquor or wine or the equivalent of 12 pints of beer from retailers outside the province. This protectionism benefits the province since alcohol is controlled, distributed and largely sold by NB Liquor, which generates revenue for government coffers. It is a rotten deal for consumers since they pay more. Many people had hoped our government would accept Judge Ronald LeBlanc’s ruling declaring New Brunswick’s liquor prohibition on cross-border Canadian sales unconstitutional. The quickest way to stop the flow of beer from Quebec is by lowering our tax on beer. Quebec imposes $2.70 in taxes on a case of 24 beer. The tax here is $9.70. Instead of giving beer consumers a break, the province will appeal this case and work against the economic rights of N.B. residents. Outgoing Finance Minister Roger Melanson told reporters the government wants a high tax on beer because “NB Liquor is an important contributor to generating revenues for us to be able to support [government] programs and be able to invest in the economy.” In other words, the province’s policy to lower its deficit is to maintain barriers to trade within Canada while keeping beer (and other taxes) high. No wonder working families are leaving the province in record numbers. This brings us to the province’s other announcement: an indefinite moratorium on hydraulic fracturing in New Brunswick. It has been four months since the independent commission tabled a report on how to proceed. Yet, the government, which says job creation is its top priority, has done little to move this file forward. New Brunswick still has no independent regulator, it has not established a royalty regime that would benefit the province as well as First Nations, nor has it moved to establish regulations over wastewater and groundwater. Instead, the province has blamed the gas industry for not doing more when regulations can only be established by the government. The natural gas companies that were creating jobs in New Brunswick have left for other jurisdictions with clear rules and a level playing field. After investing millions, SWN Resources suspended its operations a year ago and all but abandoned New Brunswick. Corridor Resources opened an office in Calgary last year to eye more promising opportunities out west, where fracking for gas resources is routine. Last week, this Halifax-based company abandoned its plans to spend $70-million in capital investments in our province. Those investment dollars will now create jobs elsewhere. Instead of pursuing sustainable shale gas opportunities, the government has dithered on resource development and hit businesses and working families with higher taxes. Fracking has been done safely and without contaminating water sources in western Canada and most other parts of North America. We know from experience that made-in-Canada regulatory knowhow is out there – just look to British Columbia, Alberta and Saskatchewan for examples. New Brunswick doesn’t need to re-invent the wheel but instead import the best Canadian practices. This requires the government to set priorities and take the lead. © 2016 Atlantic Institute for Market Studies. This article appeared in the Telegraph-Journal and the Financial Post.